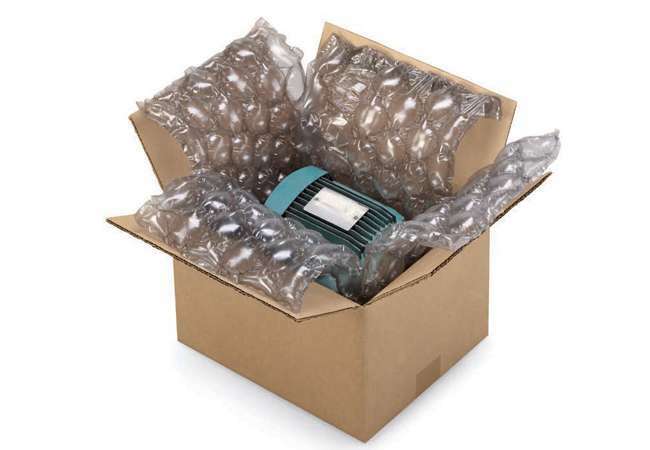 The Sealed Air New Air IB Express inflatable cushioning system quickly produces Barrier Bubble® material. 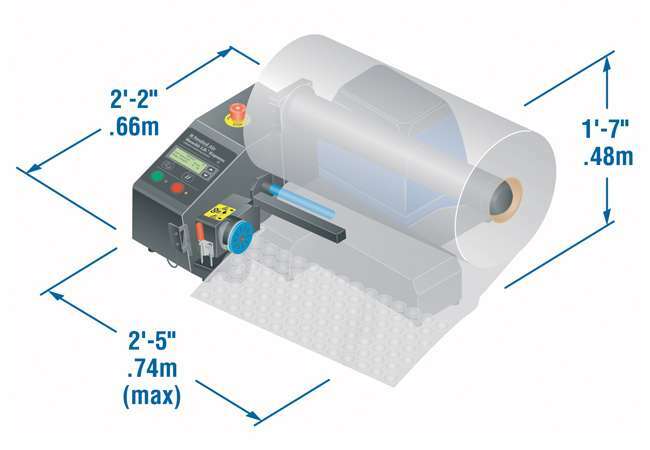 At 55 ft per minute in 12″ and 24″ film widths – fast enough to keep up with the most demanding packaging operations. 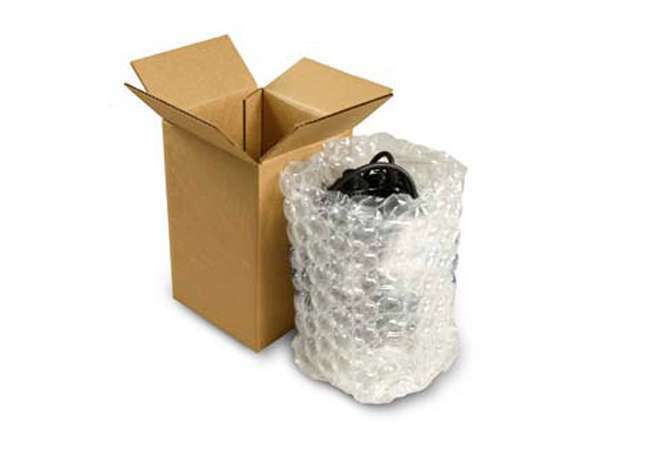 Versatile, inflatable cushioning system for any packaging operation. 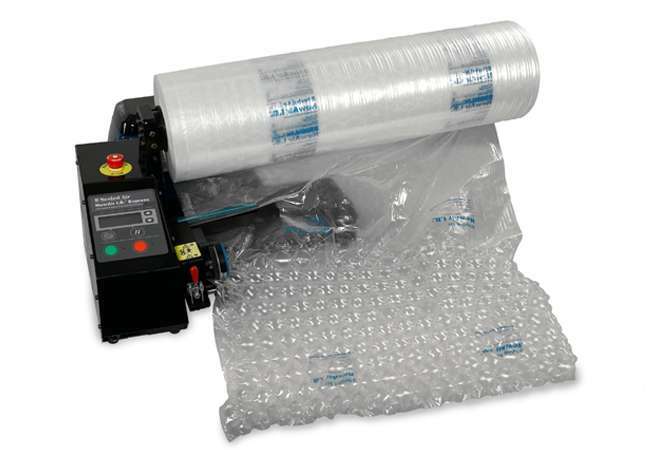 Up to 21 Instapak foam-filled cushions per minute, increasing the productivity of your operation. 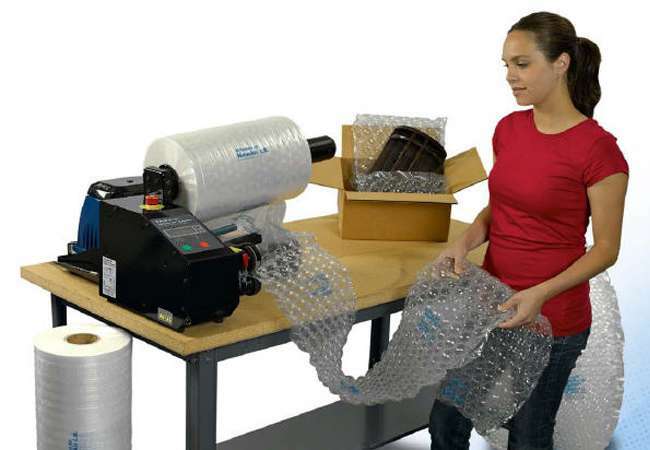 Produces inflatable cushioning, in 12” and 24” film widths. At speeds up to 65 linear feet per minute. 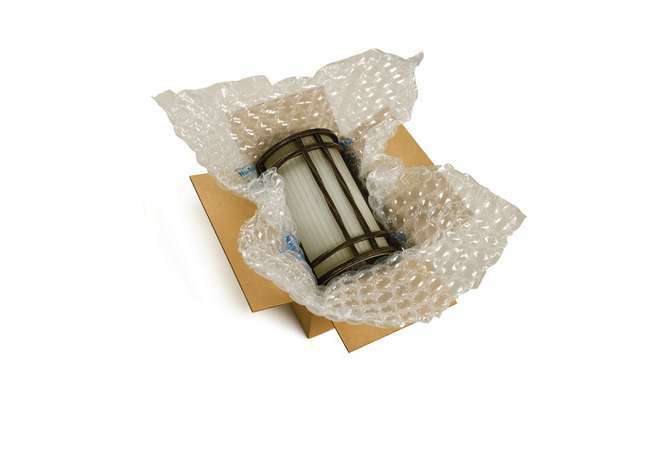 The compact design fits comfortably on a tabletop, or can be mounted on a table-side stand.